I've talked before on this blog about how the federal government is screwing up our lives. Now, they've went too far: They are messing with our chocolate. Chocoholics unite! We need to stop this! What am I talking about? In Friday's Washington Post, there's an article called, "Chocolate Purists Alarmed by Proposal To Fudge Standards." Food standards are made by the Food and Drug Administration, and in "Appendix C," they stated the following, "use a vegetable fat in place of another vegetable fat named in the standard (e.g., cacao fat)." Chocolate lovers read that as a direct assault on their palates. That's because the current FDA standard for chocolate says it must contain cacao fat -- a.k.a. cocoa butter -- and this proposal would make it possible to call something chocolate even if it had vegetable oil instead of that defining ingredient. Whoppers malted milk balls, for instance, do not have cocoa butter. You mean to say that something can be called chocolate but actually not have any chocolate in it? That's ridiculuous. I'm shocked! I'm outraged! Not to worry, according to the Post article, there's already a grassroots campaign out there to stop this. Chocolate purists, of which there are apparently many, have undertaken a grassroots letter-writing campaign to the FDA to inform the agency that such a change to the standards is just not okay with them. More than 225 comments to the petition have been processed so far by the agency, and chocolate bloggers are pressing for more. In the annals of bureaucratic Washington battles, this is a sweet one. "If this puts a smile on people's faces even though it's a serious matter, that's what chocolate is meant to do," said California chocolate maker and traditionalist Gary Guittard, whose Web site, DontMessWithOurChocolate.com, has led the counterassault. Congratulations on your award on The Rising Blogger. It is a brand new site that awards posts, not blogs. Your post from April 24, 2007 "Asians: The New American Villian" won. I read their opinion regarding my Post of the Day, and found it interesting. What I really found refreshing is that even though they disagreed with my opinion, they still awarded the post. It is his conclusion that we disagree with, that since Imus was fired, so should they. We are not sure if you disagree with one firing that you should use it as a reason for another. But, as we said this post is a fantastic read. As an Asian American he speaks of the tragedy at Virginia Tech and the face of the murderer. I definitely concede the point that justifying wrong behavior (the firing of Imus) with more wrong behavior (the firing of these radio personalities) is not the way to solve the problem. I appreciate their fair analysis of this and I am humbled by this award. Thanks so much! I encouage you to check out their blog. It's a great read. Now, as the message says above, I should nominate a favorite post to "pay it forward." What a great idea! I'll definitely be on the look out next week. If any of you fellow blogaholics have suggestions on really good posts, send them my way, and I'll take a look at it. What I like, I'll send to Mr. Corizan. Get your best posts ready, because I'm coming to check them out! Anyway, having a rough time remembering? Well, put down the ginkgo biloba and go to bed, would ya? Really? Yes, really. This is according to a study that will be presented at the American Academy of Neurology meeting next week in Boston. 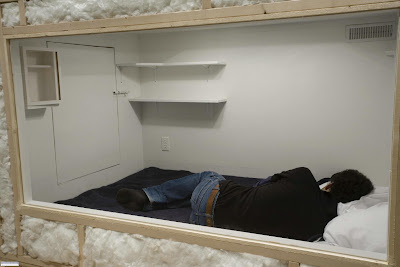 The researchers -- who included Jeffrey Ellenbogen, MD, a neurologist and fellow in sleep research at Harvard Medical School -- studied 48 healthy adults aged 18 to 30. The study subjects were split into four groups and they had to remember pairs of words that they just recently memorized. One group was tested at the end of the day. Another group was given the same test the next morning after they slept at home the night before. The group that slept at home had better scores. "These results provide important insights into how the sleeping brain interacts with memories: It appears to strengthen them," he says. "Perhaps, then, sleep disorders might worsen memory problems seen in dementia." Clinically, this is interesting in that they are trying to link dementia with sleep disorders. Maybe we have been treating memory loss the wrong way. Or, maybe sleep treatments can be used with current treatments for memory loss. Stay tuned for more developments on this. Using my own anedotal evidence, I have definitely seen in myself difficulties with memory when I don't feel rested in the morning. Actually, my entire system is out of whack when I don't get enough rest. I know, it's not rocket science to figure that out. But, getting enough rest, for me, is an ongoing challenge. Of course, late night blogging doesn't help. But, I guess it's better than looking up at the celing for hours on end trying to make myself sleep. What to do -- Hmmmmm..... Have a great weekend! Emilio Gonzales is a 17 month old with a rare genetic disorder called Leigh's disease. According to WebMD and other sources I've read, this is a neurological disease in which the entire nervous system deteriorates with symptoms showing themselves as early as three months old. There is no cure for Leigh's disease. As the disease progresses, all of the muscles in the body progressively get weaker, including the respiratory muscles. As breathing becomes more difficult, it requires being put on a ventilator to stay alive. This is the stage that Baby Emilio is at right now. The case, and the Texas law, have divided medical ethicists. Art Caplan, an ethicist at the University of Pennsylvania, supports the Texas law giving the hospital the right to make life or death decisions even if the family disagrees. "There are occasions when family members just don't get it right," he said. "No parent should have the right to cause suffering to a kid in a futile situation." But Dr. Lainie Ross, a pediatrician and medical ethicist at the University of Chicago, says she thinks Emilio's mother, not the doctors, should be able to decide whether Emilio's life is worth living. "Who am I to judge what's a good quality of life?" she said. "If this were my kid, I'd have pulled the ventilator months ago, but this isn't my kid." The law, signed in 1999 by then-Gov. George W. Bush, gives Texas hospitals the authority to stop treatment if doctors say the treatment is "inappropriate" -- even if the family wants the medical care to continue. The statute was inspired by a growing debate in medical and legal communities over when to declare medical treatment futile. Ethics always lags behind science. When that happens, the legal system and possibly even the government get involved. And, that's where things get ugly. Things get more political. The activists with political agendas get energized. I won't be surprised if this very issue is inserted into the 2008 US Presidental campaign - Remember Terri Schiavo and the end of life debate? Remember Michael J. Fox and the stem cell debate? The government already got involved before Emilio Gonzales was even born. I certainly hope that the politicians and the activists on both sides will not get involved in this debate. Just to let you know, from the legal point of view, Baby Emilio's case is in the court system with the next hearing to take place in 12 days on May 8th. Now, people are probably not going to be surprised by this, but I would have to agree with the hospital docs on this one. My disclaimer is that the only information I have is from news reports. Of course, I'm not there and I don't have any first hand knowledge of the medical portion of the case. When it comes to making medical decisions on stopping life support for young children and infants, who should have final say (hospitals or parents)? If there is no hope for recovery, how do you know how much suffering you're causing by the life sustaining treatments that are being done? How you know how much benefit you're gaining? Emilio is on Medicaid, which means that the taxpayers of Texas are paying for his continued treatments. Should ability to pay be a factor in ethical debates like this one? I took a lot of criticism from a number of different fronts following my post called Drug Rep Rant. Docs called me naive. Reps and former reps told me to get a life and be honest if I really wasn't interested in the product. All good points. That post was written in a fit of emotion and non-logical thinking. I just love all the judgmental people out there who pretend to know all the answers and apply their utopian ideals to my little insignificant post. It was a snapshot in time and what I was feeling, and not necessarily what I usually do. That being said, those who criticized me had some good points. 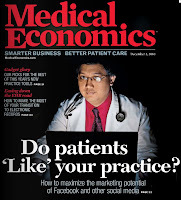 The marketing tactics that are implemented are cold and calculated - at least according to an article from Reuters called, "Posing as pals, drug reps sway doctors' choices"
"Physicians underestimate their own vulnerability. They think they are smarter ... but they are not trained in recognizing this kind of manipulation," said Adriane Fugh-Berman, a Georgetown University Medical Center researcher and co-author of one of the studies. "Reps scour a doctor's office for objects -- a tennis racquet, Russian novels, '70s rock music, fashion magazines, travel mementos or cultural or religious symbols -- that can be used to establish a personal connection with the doctor," Fugh-Berman and Ahari wrote. These studies show what people have been telling me all along. Yes, drug reps have an influence and now there's the more data for people to prove their point. Ok, I get it. "The remarkable thing is how effective a very brief visit by a drug representative -- most often less than five minutes -- can be in influencing physicians' choices to use a drug for an unapproved indication," Dr. Michael Steinman of the San Francisco Veterans Affairs Medical Center said in a statement. Besides free drug samples, salespeople often bring gifts, lunch for the doctor or office staff, new pens and coffee mugs. "The doctor feels subtly, even subconsciously, indebted to the representative," Steinman said. Maybe that's why more and more offices are banning reps from their offices. On one day here, there can be fifteen reps - maybe five from the same company spread throughout the day. That can be a lot of time that could be spent doing other things - like trying to tackle the endless paperwork on my desk. What's the solution? I don't know. I'll think about it. I am feeling a little bit hungry after all this paperwork. What's for lunch today and who's bringing it? I know what you're thinking. No, the planet above is not part of this week's Grand Rounds presentation. Although, I did think that the solar system theme was quite unique. My question is pretty simple: What's the name of this rock, dude? There are potentially lots and lots of cool names out there to call this significant discovery. What did they come up with? Here it is -- 581 c. Doesn't that name just roll off your tongue? Sheesh! The new planet is about five times heavier than Earth. Its discoverers aren't certain if it is rocky like Earth or if its a frozen ice ball with liquid water on the surface. If it is rocky like Earth, which is what the prevailing theory proposes, it has a diameter about 1 1/2 times bigger than our planet. If it is an iceball, as Mayor suggests, it would be even bigger. Based on theory, 581 c should have an atmosphere, but what's in that atmosphere is still a mystery and if it's too thick that could make the planet's surface temperature too hot, Mayor said. However, the research team believes the average temperature to be somewhere between 32 and 104 degrees and that set off celebrations among astronomers. Until now, all 220 planets astronomers have found outside our solar system have had the "Goldilocks problem." They've been too hot, too cold or just plain too big and gaseous, like uninhabitable Jupiter. The new planet seems just right — or at least that's what scientists think. Is this science, or nursery rhymes? Goldilocks problem? Is that what they teach in science class or rocket science school? I should have taken more of those classes. Maybe I would have ended up at NASA. HA! I'm going to give those guys and gals a little free advice here. I've got the name for the new planet: Planet Anonymous. It's cool. It's chic. It's hip. And, it's happening! A kind of name that's a cross between Sanjaya and Pimp My Planet - if you know what I mean. If you look close in the picture above, you can already see that there's a McDonalds there (McBreakfasts are great for blood pressure) and a Wal-Mart (with a pharmacy and a minute clinic for all of your health needs -- NOT!). Maybe this new planet could be the site for the first interplanetary Blogaholics Anonymous meeting. What do you think? Grand Rounds 3.31 is now up and running at Med Valley High. They kind of have a solar system theme this week. Liana is a first year family medicine resident (YAY!) who states, "I'll invite you now to sit back, relax and join me on a tour of the highlights of the medical blogging universe." Several bloggers have reacted to this terrible incident philosophically. Doctor Anonymous asks some difficult questions about the role of the government and the role of universities to the public and to parents, respectively, in terms of issues related to mental illness. If you don't know what Grand Rounds is, it is a weekly compilation of the best posts from the medical blogosphere that moves to different sites each week. And, who doesn't like reading about medicine and science? In today's New York Times, it reports that two CBS Radio personalities have been put on suspension following complaints from an Asian-American group concerning a six-minute prank phone call to a Chinese restaurant "peppered with ethnic and sexual slurs." In the skit, a series of apparently unsuspecting employees of a Chinese restaurant are berated by a caller who tells one woman he would like to “come to your restaurant” to see her naked, especially a part of her body he refers to as “hot, Asian, spicy.” The caller also attempts to order “flied lice,” brags of his prowess in kung fu and repeatedly curses at several employees. Not only was this call played the day after Imus' comments, it was also played the day after Imus was fired. How does that make sense? Now, full disclosure here, I am Asian-American, and I am offended by this skit and this story. I absolutely think these radio hosts should be fired. And, I think that CBS Radio should suffer some consequences as well. I'm on the record saying that Imus should not have been fired. But, since he was fired, I believe that the Imus episode has set a precedent that no offensive language should not be tolerated on the radio. Or, did the Imus episode tell us that only language offensive to African-Americans and to women are not tolerated on the radio? 1. There is no Asian-American in the United States with the political power to gain any kind of attention (meaning press time) to this story. Many Asian-American leaders will try to make their outrage known, but after a 24-48 hour news cycle, this story will quickly lose steam in the press. 2. The Asian-American target in this prank was not someone prominent like the Rutgers Women's Basketball team - people all of America could relate to. Employees of a Chinese restaurant in New York City will probably not appeal to anyone outside of NYC. 3. The face and image of the Virginia Tech massacre is an Asian-American. Last week, America was subject to the playing and re-playing of Cho Seung-Hui's video diary. Many will have those images etched in their minds forever. And, I don't see a lot of sympathy towards Asian-Americans - at least not enough to get these two radio hosts fired. The "rules" have already been laid out. If you make fun of African-Americans, you have the self-appointed black leaders to answer to. Mexican-Americans? You'll have groups like La Raza knocking at your door. Gays and Lesbians? Rosie has a platform everyday to attack you until you apologize and ask for forgiveness. But, Asians? Well, I think the Asian community in America is suffering a little bit by playing fair and following the rules. Can you name any prominent Asian-American who can take up the torch for Asian advocacy? I know I can't. This is the perfect set-up for Asian racism on the radio, in television, in the movies, and wherever else it is marketable to do that. I know, people are going to accuse be of being overly sensitive and trying to play the victim in the politically correct society that we live in. "You don't have to listen to this stuff, Dr. A. You could just turn the channel." Update 5/13/07: These radio hosts have been fired. Read here for details. Awareness is especially heightened at the UW [University of Washington], given a murder-suicide earlier this month, when a campus employee was killed in her office by an ex-boyfriend who then shot himself. The UW's president and the provost on Friday formed an advisory committee on violence prevention to take a look at safety protocols across campus. Already, a UW counselor works part time assisting resident housing advisers with student mental-health issues. In addition to its regular clinical services, the campus counseling center also operates a consultation line five days a week to handle questions from faculty, staff or students. When the UW identifies a student who has talked about or attempted suicide, the student must see a campus psychologist. The student is then given the option of undergoing four assessments with a mental-health provider. If the student declines to participate in those assessments, the UW can start proceedings to remove the student from school, said Eric Godfrey, vice provost for student life at the UW. What I really hope happens is a careful look at how all mental health care is delivered in the entire country - not just on college campuses? I know, but a doc can dream can't he? As I've talked about on this blog before, the mental health services in my little county are sparse at best. We have about 100,000 people in the entire county and about 500 square miles to cover. The number of psychiatrists I can count on one hand (and it's even less than five). A lot of people have barked to me that only psychiatrists should be prescribing mental illness medicines and the primary care doc should be left out of it. The reason PCPs prescribe is because there is no one else to diagnose and treat these patients. It can take months to get an appointment with a psych. Other supportive services are overloaded as well. We do not have the number of counselors that are needed to adequately services the patients of this community. So, what happens, these patients end up in the ER. Since there is no inpatient psychiatric hospital in the county, we have to transfer out everything. And, the ER docs out there know how difficult it is to transfer out a psych patient to a different county. This patient can sit in the ER for 8-10 hours (delaying treatment) while the doc tries to get a hospital to accept them. Or, some patients end up in jail, dealing in the legal system, and maybe dumped back into the outpatient follow-up system which I have described above. There's no good solution here. But, maybe, just maybe, some good can come out of the VT tragedy with this look at mental health care delivery in the US. Update 4/24/07: Here is a letter to the editor from the Chicago Tribune who states as far as her state is concerned, when it comes to grading mental health care delivery, "Illinois received an F."
I really need to stop watching the news regarding the Virginia Tech shootings. Since I can't, I'll offer some commentary on what I watched this evening on the cable news shows and what I read in some of the online news articles with reference to privacy laws and medical records. What is the role of the university if a student is diagnosed with a mental illness? In this article from today's New York Times, it states what we already know - That they are bound by the same federal laws that pretty much everyone else has to follow. For the most part, universities cannot tell parents about their children’s problems without the student’s consent. They cannot release any information in a student’s medical record without consent. And they cannot put students on involuntary medical leave, just because they develop a serious mental illness. The article goes on to say that universities have quite a problem here in trying to navigate through these privacy laws. Universities can find themselves in a double bind. On the one hand, they may be liable if they fail to prevent a suicide or murder. After the death in 2000 of Elizabeth H. Shin, a student at the Massachusetts Institute of Technology who had written several suicide notes and used the university counseling service before setting herself on fire, the Massachusetts Superior Court allowed her parents, who had not been told of her deterioration, to sue administrators for $27.7 million. The case was settled for an undisclosed amount. On the other hand, universities may be held liable if they do take action to remove a potentially suicidal student. In August, the City University of New York agreed to pay $65,000 to a student who sued after being barred from her dormitory room at Hunter College because she was hospitalized after a suicide attempt. What is the role of government if a citizen is diagnosed with a mental illness and would like to purchase a firearm? There has been a lot talked about and written about how easy it was for Cho to purchase a gun in Virginia. In this article from the Associated Press, they talk with the gun store owner and his impressions of Cho during the transaction. Roanoke Firearms owner John Markell said his shop sold the Glock to Cho in March. The serial number had been scratched off, but federal agents traced it to the store using a receipt found in Cho's backpack. "It was a very unremarkable sale," said Markell, who did not handle the sale personally. "He was a nice, clean-cut college kid. We won't sell a gun if we have any idea at all that a purchase is suspicious." Markell said it's not unusual for college students to make purchases at his shop as long as they are old enough. Cho held a green card, meaning he was a legal, permanent resident, according to federal officials. That meant he was eligible to buy a handgun unless he had been convicted of a felony. It has been suggested in the media that if Cho's medical records, specifically his mental illness diagnosis, was somehow made available as part of the "background check," then, possibly, he would not have been able to purchase a gun at this place. I do realize that possibly no law could have prevented this kid from getting his gun. However, this brings up an interesting point about privacy laws. Should certain medical diagnoses be made available in a law enforcement database? If so, which diagnoses? Just mental illness diagnoses? Who decides which medical information is placed into a database like this? Would that mean that if I am pulled over for speeding that my medical record would be accessed on a police cruiser computer? Update 4/24/07: There's now information that he should NOT have been sold a gun because he was seen as a danger to himself and others. But, the information was never entered into the National Instant Criminal Background Check System. Read more in this cnn.com story. The article goes on to outline some of his other characteristics as they try to profile this individual: a loner; a writer of disturbing plays; a writer of the suicide note against "rich kids," "debauchery," and "deceitful charlatans." I could be wrong, but I'm starting to see people in the press making the association between depression and murder. Of course, this kid had mental illness and of course he was undergoing treatment for it. But, the implication that everyone with mental illness has the potential "to snap" and kill people - as being suggested in the media - This bothers me. If you remember, three years ago, the Food and Drug Administration made a statement warning the public about use of antidepressants in children and teens. At the time, they stated that there was an increased risk of suidical thoughts and behaviors. There was a huge uproar then. All my patients were talking about it - particularly parents. Now, the research is stating that those concerns are not as serious as once thought. Researchers analyzed data on 5,310 children and teenagers from 27 studies. They found that for every 100 kids treated with antidepressants, about one additional child experienced worsening suicidal feelings above what would have happened without drug treatment. In contrast, the FDA analysis found an added risk affecting about two in 100 patients. There were no suicides in any of the studies. 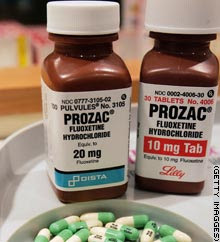 The antidepressants included Prozac, Paxil, Zoloft, Celexa, Lexapro, Effexor, Serzone and Remeron. "The medications are safe and effective and should be considered as an important part of treatment," said study co-author Dr. David Brent of the University of Pittsburgh School of Medicine. "The benefits seem favorable compared to the small risk of suicidal thoughts and behavior." Now, this is by no means the final word on this issue. Some may even say this study complicates the discussion. So, what is a doctor to do? What is a parent to do? I think this study emphasizes the close communication that is needed between docs, patients, and their parents - especially when it comes to mental illness diagnosis and treatment. I realize that's easier said than done. But, as more of this Virginia Tech case is uncovered, it seems as if improved communication could (and I emphasize could) have changed the outcome of this tragedy. Of note, N=1's comment in my previous post makes an excellent point. This is the picture on the front page of FoxNews.Com from this morning. This is Cho Seung-Hui, a student from South Korea, apparently an English major. What was the motive? I guess authorities are still trying to figure it out. This is a very emotional issue, and the really sad part is that no one wants to take ownership of the problem. Everyone blames everyone else for the problem whether is blaming school officials to "not keeping school safe" to blaming parents for "not bring up kids right" to the media to exposing kids to too much violence. Until someone steps up and accepts even a little responsibility for the problem, the blame game will continue and more children will be harmed - or even killed. History is repeating itself again with the blame game. There are already early articles being written asking whether there were Too Few Warnings at Virginia Tech? The outrage is beginning to build against the university and university officials. Everett Good, junior, said of the lack of warning: "I'm trying to figure that out. Someone's head is definitely going to roll over that." "We were kept in the dark a lot about exactly what was going on," said Andrew Capers Thompson, a 22-year-old graduate student from Walhalla, S.C.
Of course, people are outraged by this situation. I'm outraged by what happened. But, I've seen this too many times. We are shocked by what happened, we mourn the victims, we blame whomever we need to blame for what happened, then we go back to our apathy until the next tragedy happens. Well, I'm sick and tired of this useless cycle. Instead of outrage turning into apathy, let's turn outrage into action. And, I'm not talking about knee-jerk reactions like firing some university official somewhere or a more strict student visa process or permanent resident visa process - like what's being talked about now. The suspected gunman in the Virginia Tech shooting rampage, Cho Seung-Hui, was a troubled 23-year-old senior from South Korea who investigators believe left an invective-filled note in his dorm room, sources say. The note included a rambling list of grievances, according to sources. They said Cho also died with the words "Ismail Ax" in red ink on one of his arms. Cho had shown recent signs of violent, aberrant behavior, according to an investigative source, including setting a fire in a dorm room and allegedly stalking some women. A note believed to have been written by Cho was found in his dorm room that railed against "rich kids," "debauchery" and "deceitful charlatans" on campus. Unfortunately, this is a culture that shirks at the idea of accountability. A culture that believes that it's someone else's job to fix the problem. A country and culture that feels no personal investment to fix its own problems. Am I wrong here? Please tell me I'm wrong. Is there a realistic way to curb the violence on school/college campuses? Grand Rounds 3.30 is now up and running at FD's place. There are 39 entries for your review and enjoyement. I admit I forgot to submit a post this week. That time off from blogging last week really made me forget about a lot of things. If you don't know what Grand Rounds is, it is a weekly compilation of the best posts from the medical blogosphere that moves to different sites each week. And, who doesn't like reading about medicine and science? Next week, GR moves to Med Valley High. The film called Sicko has been two years in the making, and those in the medical industry have been closely watching Michael Moore and what kind of antics that he was going to try to pull. There have been rumors that his film crew have been going to medical conventions and filming the pharmaceutical displays and trying to get docs on film talking about their free pens. In Sunday's New York Post, there is a new twist. According to the report, he took ailing Ground Zero responders to Cuba to film how (in his opinion) Castro's socialized medicine is superior to the medical care in the United States. Cuba has made recent advancements in biotechnology and exports its cancer treatments to 40 countries around the world, raking in an estimated $100 million a year, according to The Associated Press. In 2004 the U.S. government granted an exception to its economic embargo against Cuba and allowed a California drug company to test three cancer vaccines developed in Havana, according to the AP. "He's using people that are in a bad situation and that's wrong, that's morally wrong," railed Jeff Endean, a former SWAT commander from Morris County, N.J., who spent a month at Ground Zero and suffers from respiratory problems. The article goes on to mention one 9/11 worker who didn't want to go on the Cuba trip and another worker who states me was left behind by the filmmaker. I love the closing paragraphs of this article. "From what I heard through the grapevine, those people that went are utterly happy," said John Feal, who runs the Fealgood Foundation to help raise money for responders and was approached by Moore to find responders willing to take the trip. "They got the Elvis treatment." 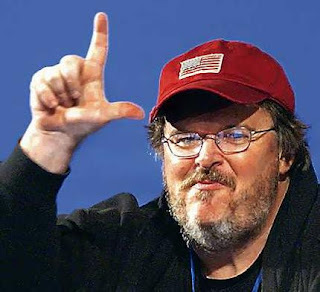 Although he has been a critic of Cuba, Moore grew popular there after a pirated version of his movie, "Fahrenheit 9/11," was played on state-owned TV. I usually don't dignify garbage like this with a post, but it's going to be a news story eventually - especially with the slated premiere at the Cannes Film Festival in about four weeks. It's definitely going to be hit piece on the pharmaceutical industry with docs being another target. I've been catching up on my Bloglines this past weekend, and I was taken by a quote from Dr. Wes' post called, "Welcome to My World." Remember the first rule of ER medicine: Take your own pulse first. Of course, the quote is self-evident to most people reading this blog. But, to me, I've been racking my brain to figure out where I heard/read this quote before. 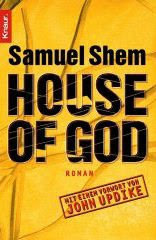 Then, it came to me, House of God by Samuel Shem. This is a great book and highly recommended to Doctor Anonymous blog readers and anyone else who likes reading medical blogs and medicine in general. The book speaks of the Laws of the House of God. And, for those of you who haven't read the book for the while, they are listed below. Enjoy! 2. Gomers go to ground. 3. At a cardiac arrest, the first procedure is to take your own pulse. 4. The patient is the one with the disease. 6. There is no body cavity that cannot be reached with a #14 needle and a good strong arm. 7. Age + BUN = lasix dose. 8. They can always hurt you more. 9. The only good admission is a dead admission. 10. If you don't take a temperature, you can't find a fever. 11. Show me a medical student who only triples my work and I will kiss his feet. 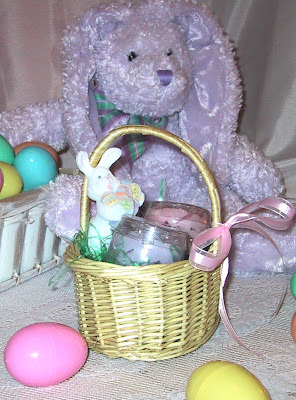 Thanks so much to Trisha from BlogHer for linking not one but two of my posts over the past few weeks. She writes for their Health and Science News of the Week, and I was linked on their March 30, 2007 post and their April 6, 2007 post. I very much appreciate being mentioned and appreciate the traffic that came my way from those postings. I tried e-mailing Trisha but somehow my messages were not getting through (I kept getting error messages). I hope to keep writing interesting stuff for Trisha's readers so that I may have another opportunity to be included in their health and science news of the week. Thanks again! I know I'm going to offend some people out there in happy blog land, but I just have to be honest about something (and I know I can be honest with all of you being my blog friends and all). But, this meme thing, and this "getting tagged" thing, it's really not as fun as it used to be (at least for me). I know that this may sound hypocritical, because I participated a lot in memes in the past. Heck, I even started a meme last December. In the past few months, I responded but I have been tagging less and less people, and giving that generic "you're all tagged" message. But, now, I'm going to be honest and telling everyone that I'm taking a break from memes. My apologies especially to the Queen of Memes and to everyone else who think I may just be having a temper tantrum here. Rather than just ignore future tags and memes, I just wanted to be up front and honest about where I stand with memes at this point. Vote for me today! I was nominated in the Blogger's Choice Awards for the Worst Blog of All Time. What an honor! I can't believe that someone would go through all the time and trouble for nominating me. Thanks to all of you who nominated me. I'll try to do you proud! Actually, not really. Just kidding. But, there has been a little bit of a buzz out there in the blogosphere about these blogger choice awards. In looking at the best health blog category, the top vote-getter only has about 50 votes. I learned the first time about blog awards. I just let myself get caught up in the hoopla. There's a lot of other better and more popular blogs out there. I'm content to sit on the sidelines and let others fight it out on this one. It is not often that I compliment the media. But to give them credit, they have increased the awareness of mental illness in our culture - particularly depression. Whether it's television, movies, radio, or print, I think they have done a good job of decreasing some of the stigma that was out there 30-40-50 years ago. In a study released in this week's Archives of General Psychiatry, researchers state that 1 in 4 people characterized as depressed are in fact struggling with "normal mental fallout from a recent emotional blow, like a ruptured marriage, the loss of a job, or the collapse of an investment." (New York Times) What? One of the tools that I have used in the past are some simple one page depression screening tests. Many primary care offices use these checklists - whether they are administered by a nurse or even self-administered by the patient. These checklists can open the door to discussion with the patient/client. Researchers state that these screening tests do not take into account "normal mental fallout." "Larger and larger numbers of people are reporting symptoms on these checklists, and there's no way to know whether we're finding normal sadness responses or real depression," said Jerome C. Wakefield, a professor of social work at New York University and the study's lead author. Normal sadness response verses real depression? Mental illness is confusing enough (clinically) with terms like depression, dysthymia, mania, hypomania, generalized anxiety, panic, obsessive compulsive, bipolar, PTSD, and others. Dr. Darrel Regier, director of research for the American Psychiatric Association, said, "I think the concern this study raises is real, and that we do need to be very careful not to overdiagnose a normal, homeostatic response to loss and call it a disorder." I think this study will allow physicians and other mental health professionals to brush off depression as only a reaction to a "normal" sad event. This will lead to underdiagnosis (and delayed treatment) of depression. So much has been done in the early identification and discussion of treatment, that I fear this study will negate part of this progress, and allow depression denial to return. Two days in a row. Can you believe it? Another non-medicine and kind of introspective blogcast. Robert commented on the volume level of the file. Hopefully, I improved things a little bit. So much so that the computer fan may even be a little distracting on the audioblog. I'll keep working on the technical stuff. Muddy left a great comment about the reasons why people blog. I reflect a little bit on why I started blogging and why I continue to blog now. The self-reflective aspect was interesting to me, but may not be interesting to everyone who listens. So, I won't be offended if you want to pass on this post. Just FYI, the audio file itself is about 7.5MB to download and it is in MP3 format. Enjoy! Here's the link to Blogcast #5. I believe one of the reasons many physicians take up anonymous blogging is to complain about non-compliant patients. If a patient does not follow my recommendations, it's pretty simple. We agree to disagree and I ask the patient to find another physician. Most of the time, that works out. Here's a story which I find very interesting. It definitely has public health implications, and is sparking quite a debate about an individual's civil rights verses the health of the public. County health authorities obtained a court order to lock him up as a danger to the public because he failed to take precautions to avoid infecting others. Specifically, he said he did not heed doctors' instructions to wear a mask in public. Though Daniels' confinement is extremely rare, health experts say it is a situation that U.S. public health officials may have to confront more and more because of the spread of drug-resistant TB and the emergence of diseases such as SARS and avian flu in this increasingly interconnected world. "Even though the rate of TB in the U.S. is at the lowest ever this last year, we live in a globalized world where, if anything emerges anywhere, it could come to our country right away," said Mark Harrington, executive director of the Treatment Action Group, an American advocacy group. So, the debate is what to do with this guy. On the one hand, you have a non-compliant patient who refuses to be treated. An individual has the right to refuse treatment, right? 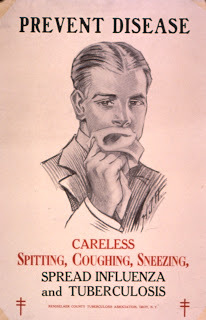 And, on the other hand, you have someone with a highly contagious disease which is incurable. You let this guy out of jail, and he will definitely infect the public, and then what do you do? I'm all for personal sovereignty, but if this guy was in my little county jail, there would be no way that I would let this guy out. I mean, he is choosing not to be treated. There are consequences to choices, and I think remaining locked up is a small price to pay for preventing a TB epidemic. A little bit different post today. Yes, I'm trying audioblogging again. I'm still calling it a blogcast, but I'm not that happy with the name. It's not really a podcast. I've heard podcasts, and this audio file is not as good as some podcasts out there. Anyway, there's no medicine in this blogcast today. I talk about blogging, specifically, my challenge in trying to keep the blog fresh and not stale with the same ideas/format. Here's the question I pose on the blogcast: What do you do to keep from getting blog burnout? Take a blog break? Post on different subjects? Sometimes start an entirely new blog? 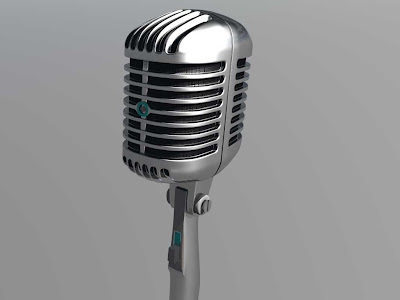 I close my blogcast by mentioning two of my favorite podcasts. My Three Shrinks: Great information and great banter. I can't wait for the next podcast. The Dashing MD: He's a surgeon in training on the west coast of the US. He has interesting patient stories. 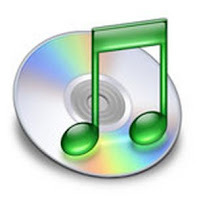 Just FYI, the audio file itself is about 6MB to download and it is in MP3 format. Enjoy! Here's the link to Blogcast #4. Now in Gmail, you can request a physical copy of any message with the click of a button, and we'll send it to you in the mail. Google will print all messages instantly and prepare them for delivery. Allow 2-4 business days for a parcel to arrive via post. Google takes privacy very seriously. But once your email is physically in your hands, it's as secure as you want to make it.